After a brief delay, the city of Flint will finally start getting its drinking water exclusively from the Flint River starting this afternoon. Eventually, Flint will get its tap water from Lake Huron. 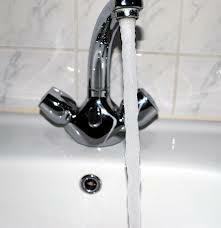 But while construction of that pipeline is taking place, the Flint River will provide the water for the city’s faucets. City leaders had hoped to start tapping the Flint River earlier this week. But the state Department of Environmental Quality refused to give its final OK until more work was done on a disinfectant system. The DEQ has now given its approval. So this afternoon at 2 p.m., Flint city officials will shut the valve on the intake pipe that brings water to the city from Detroit. Eventually, Flint will get its tap water from Lake Huron. But while construction of that pipeline is under way, the Flint River will provide the water for the city’s faucets. Flint is making the switch to save money, although one consultant says in the short term water rates will continue to increase. Flint’s water customers may need to prepare to pay more for their tap water. A consultant is recommending the city plan on annual rate hikes for the foreseeable future. Flint’s aging water system has endured more than a hundred water main breaks since New Year’s Day. The city is also planning on replacing water service from Detroit by tapping into the Flint River and eventually a new pipeline that would reach Lake Huron. Temperatures across Michigan today are rising into the 50’s. Warmer temperatures are expected to cause headaches for local water systems. Water mains could break as surrounding ground thaws. Flint is dealing with 30 to 40 water main breaks at any one time. Howard Croft is Flint’s Public Works director. The city of Flint is hiring a major accounting firm to put a value on two of the city’s biggest assets. Flint Emergency Manager Darnell Earley says Ernst & Young will assess the value of Flint’s water system and the Hurley Medical Center. “This does not automatically signal anything other than we want to know what the value of those assets is,” says Earley. Earley says he wants to have the information for any future discussion of Flint’s overall financial health. Flint officials will soon be more aggressive about getting people and businesses to pay their water bills. Right now, the Flint water department is dealing with 30 to 40 water main breaks at any one time. That’s primarily the fault of the brutal winter weather. But the water department has another problem and it has to do with inflow of cash. Emergency manager Darnell Earley says the city is going to start putting more pressure on homeowners and businesses with delinquent water bills. A quarter billion dollar water pipeline project broke ground today near the Lake Huron shoreline. The source of the water was on the minds of the people at the groundbreaking, including Pastor Floyd Fuller who gave the invocation. ““Drink from your own cistern. Running water from your own well,” Fuller said, quoting from the Book of Proverbs. The well in this case is not a well but a lake. Lake Huron to be specific.